If you’re unfamiliar with BRABUS, they’re a tuning house that’ll get hold of your Mercedes-Benz or Mercedes-AMG and take it to the next level, where untamed imagination defies logic. For example, they do a 900bhp S-Class with refurbished interiors that’d make the standard car’s cabin look a bit benign. And we’re talking S-Class interiors here. Also did I mention 900bhp? And Mafia looks. That’s BRABUS for you. They’ve been doing this for years and getting better at with every passing build. 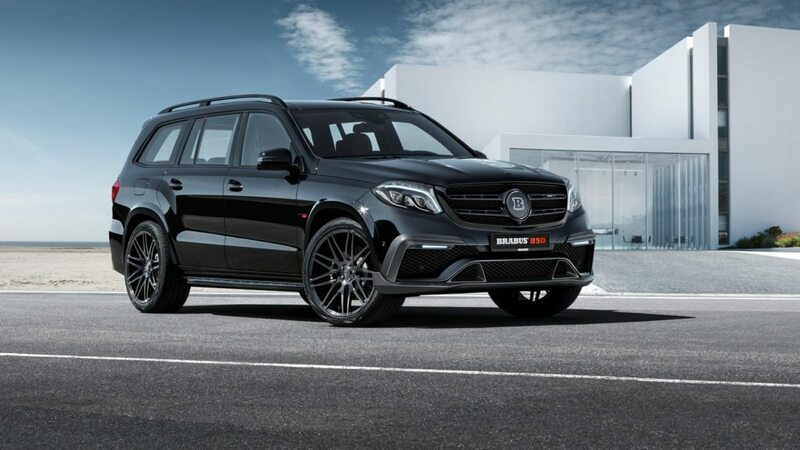 Their latest creation, called the BRABUS 850 XL, is based on the GLS, a GLS 63 4MATIC to be specific, which in its standard configuration, does a pretty good job considering its nearly three tonnes of luxury and seven seats that collectively hit 60 kph in under 5 seconds. BRABUS got working, and massaged the GLS 63’s 5.5-litre twin-turbo V8 to crank up a humongous 838bhp, more than 261bhp more than stock. Oh, then there’s the torque. How about 1,069lb available between 2,500rpm and 4,500rpm? These outputs were achieved by bored the mill out to 6.0-litres, fitting bigger forged pistons and rods, along with revised cylinder heads a new crankshaft. 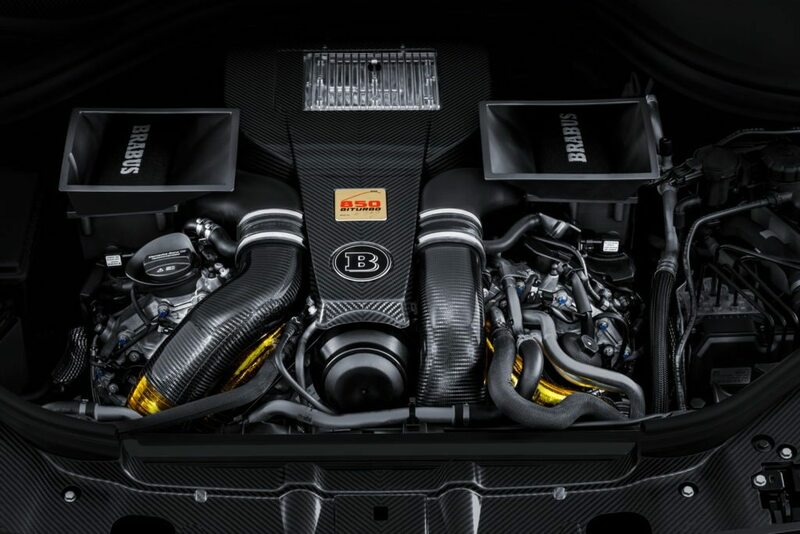 A new carbon intake, two new air filter boxes with a larger cross section, and carbon air ducts also went in, while custom turbochargers and gold heat reflection sheathing sealed the deal. BRABUS reckons that the 850 XL will scant from 0-62mph in just 4.2 seconds. The top speed “in the interest of tire safety”, is limited electronically to 300 km/h. Hello Bentayga! If not quite up for it, BRABUS offers humbler 622bhp and 690bhp conversions. 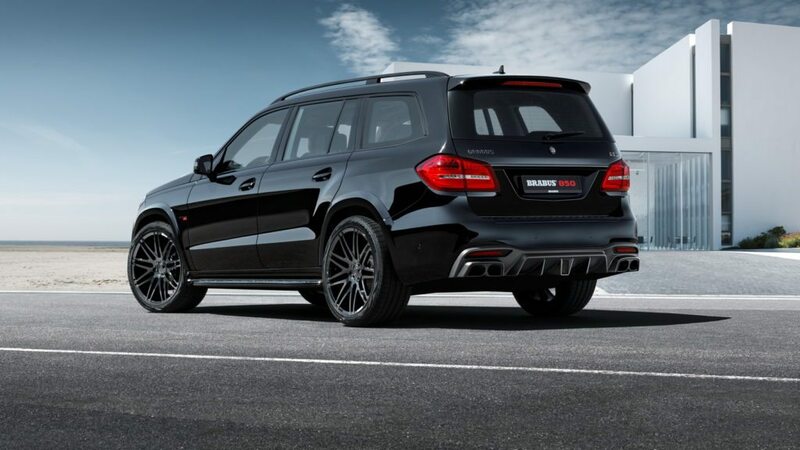 The package wouldn’t be complete without the Mafia looks, so BRABUS tunes up the GLS 63′ appearance too. Up front, the 850 XL gets a new, carbon fiber front lip spoiler, said to be optimised in the wind tunnel to offer less lift on the front axle at high speeds. While the rear gets a new rear carbon diffuser and twin exhausts, the XL sized wheels range from 21in to 23in. They are forged and lightweight as well. BRABUS has also employed a special control module for the air suspension just in case the twisty roads catch you off guard, while lowering the ride height by 1.2in. The interiors of the BRABUS 850 XL can be fully customized to your tastes. This particular example receives braided leather highlights and chequered flag patterned, gold hued carbon elements. The kind of stuff that’ll make you popular if you live in Dubai. The inlays can be had in wood, aluminium or carbon. Each of these BRABUS 850 XL models are built to order.